T-Mobile delays its "insomnia sale" to Wednesday; will the carrier's jingle survive the merger? Is it good news or bad news that T-Mobile has decided to push back its late night "insomnia sale" from this Monday to Wednesday at midnight EDT? Well, it's good news for those who need the extra two days of sleep that they will now get because of the delay. But it is also bad news because the featured devices include the T-Mobile G2x, still one of the hottest Android handsets available in the States, and who wants to wait a minute without having its dual-core speed in your palm? The other featured phone is the T-Mobile G2. All of this news came from a tweet sent out from the carrier. Speaking of T-Mobile, whether you love it or hate it, the carrier's jingle is one of the most instantly recognizable advertising staples on the American airwaves and as a ringtone on its handsets. Once the jingle is heard, the listener automatically thinks T-Mobile and you can't put a price on that level of brand identity. But will those living in the U.S. still hear the familiar notes after the merger with AT&T? A screenshot of an internal T-Mobile document says that in response to that very question, Deutsche Telecom owns the trademark to the jingle and no decisions have been made regarding the future of it in the States. Unless AT&T decides to make a payment to Deutsche Telecom for the U.S. rights to the jingle, you can assume that in a post-merger world, those notes will be history in the U.S. 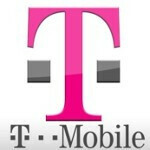 This tweet sent by T-Mobile announces a two-day delay for the carrier's late night "insomnia sale"